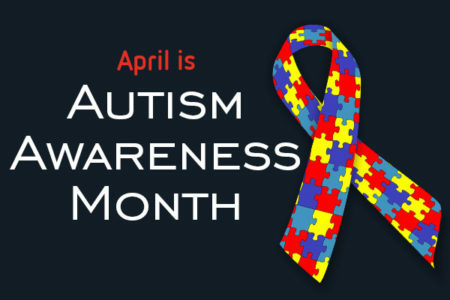 April is Autism Awareness Month, a nationwide effort started by the Autism Society. One in 68 children in the U.S. is born with Autism Spectrum Disorder (ASD). ASD is a developmental disability that can cause significant social, emotional, communication, and behavioral challenges. Many people with ASD also repeat certain behaviors, or have difficulty with change in their daily activities. Autistic disorder, Asperger syndrome, and PDD-NOS are conditions that were once diagnosed separately, but are now all considered Autism Spectrum Disorder. ADAPT Community Network runs free workshops for individuals with ASD, parents, family members, caregivers, and other professionals. For example, a recent workshop provided information on how to better understand, support, and work alongside employees with ASD. Employees with ASD can thrive at accomplishing their individual job tasks, but challenges around social communication and sensory issues can make it difficult when working with other employees, so it’s important for their coworkers to have an understanding of the disorder. Our upcoming Family Connect Summit features several workshops pertaining to Autism Spectrum Disorder funded by NYC Council’s Autism Awareness Initiative. The event is free, but registration is required. Follow the link below to learn more about the upcoming workshops and register.